Hosts for this leafminer include bigleaf, cucumber, southern, star, sweet bay, and umbrella magnolias. Large numbers of mines on a single leaf can cause the leaf to turn brown and drop from the tree. Little is known of the life-cycle of this moth making the effective timing of insecticide applications to control the caterpillars problematic. 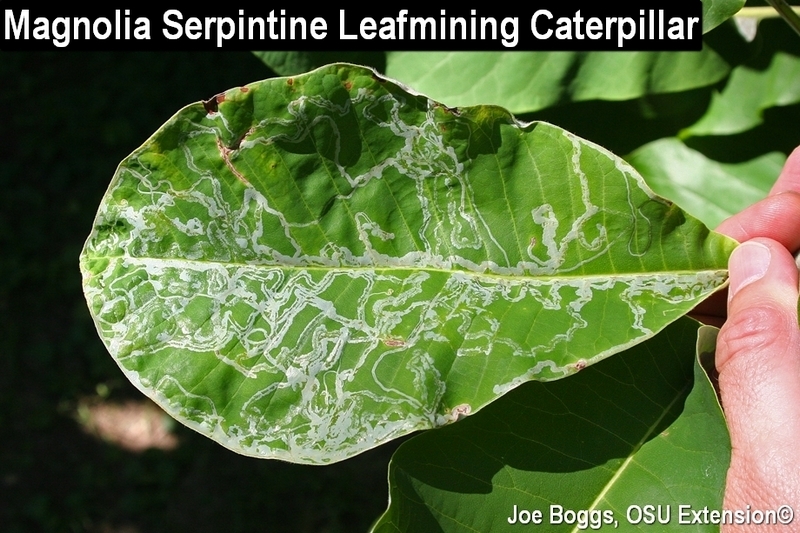 Indeed, efforts to control this leafminer in nurseries in Ohio and in the southern U.S. are marked by reports of high insecticide failure rates. Fortunately, heavy populations involving multiple leaves appear to be a rare occurrence. Thus, populations may be managed by removing and destroying infested leaves when mines first appear.